The country's president, in an interview with the BBC, added that third parties have updated him on the U.S.-led operations against ISIS. Syria's President Bashar al-Assad on Tuesday laughed off suggestions that his forces used barrel bombs and indiscriminate weapons in its years-long civil conflict. During a 25-minute interview with the BBC's Middle East editor, Jeremy Bowen, Assad said, "The army use bullets, missiles and bombs. I haven't heard about the army using barrels, or even cooking pots!" Assad also discussed the country's pro-democracy protests, allegations his forces used chlorine gas, and the forms of opposition to his regime in the country. It's a childish story that keeps repeating in the West. If someone who is against his people and against regional powers and the great powers and they west, and how do they survive? If you kill the Syrian people, do they support you, or do they turn against you? As long as you have the public support, it means you are defending the people. If you kill the people, they turn against you. It's common sense. 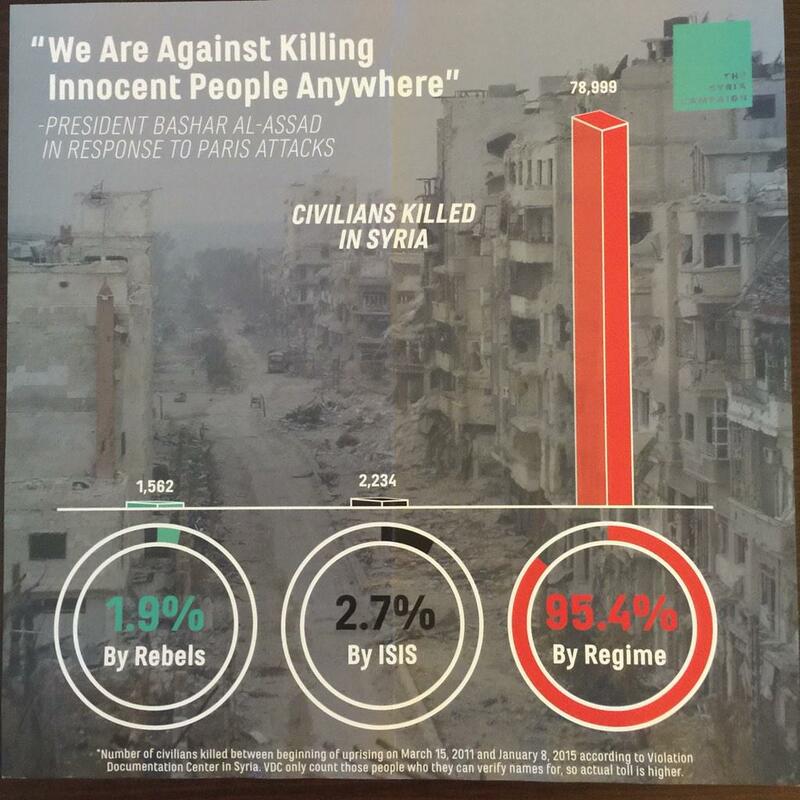 Barrel bombs are banned by international law. They are improvised explosive devices, consisting of containers filled with nails, pieces of metal and explosives, and are dropped from low altitude. They are designed to kill and maim indiscriminately in the area they land. 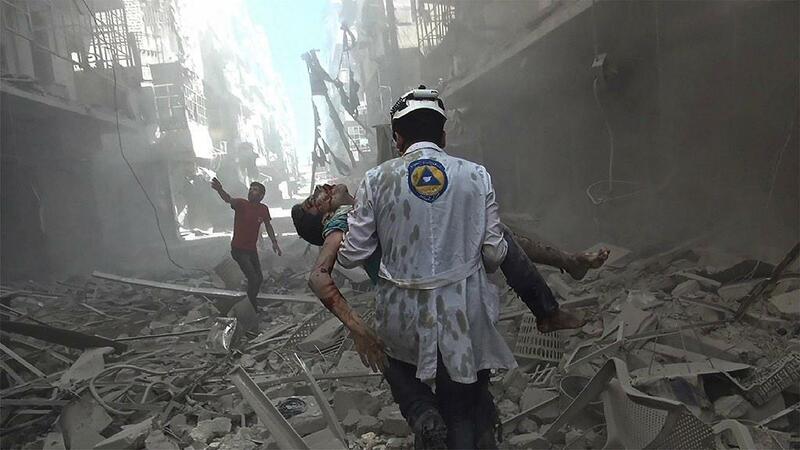 Yes, @Presidency_Sy, definitely no barrel bombs here. 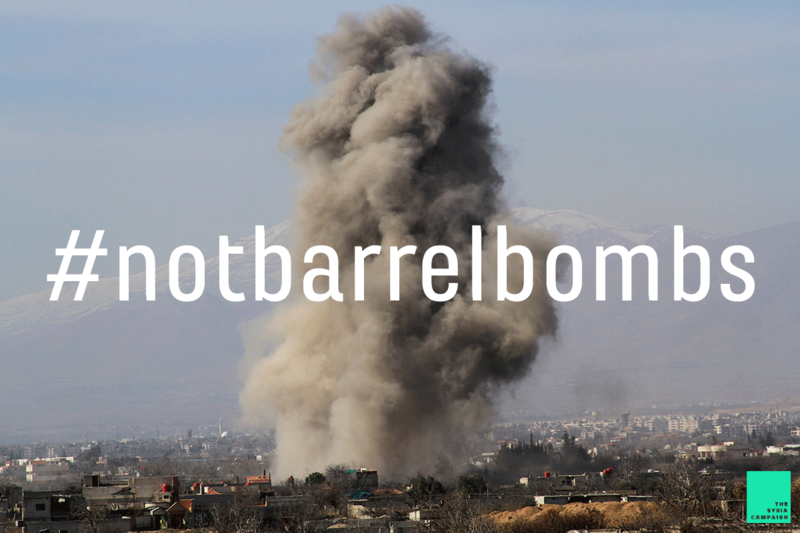 "@SyriaCivilDef: #notbarrelbombs "
There are no indiscriminate weapons. When you shoot, you aim. And when you aim you aim at terrorists in order to protect civilians. If you are talking about casualites: that's war. You cannot have war without casualty. We've been attacked in Damascus and Aleppo by the rebels, not vice versa. They have been attacking the Syrians with mortars. So you have to retaliate and defend your people. Assad also said there was no chance of his government joining the U.S.-led alliance against ISIS, saying:. We cannot in alliance in a country which supports terrorism. Most of the countries in the alliance support terrorists. We don't breathe through the Americans, we only breathe through our citizens. That's how we breathe, this is first. So it's not a lifeline for us. [We co-operate] through third parties, more than one party. Iraq and other countries sometime convey messages, but there's nothing tactical. We knew about the campaign before it started, but not about the details. He also said that it was "fantasy" that a moderate opposition to him could legitimately rise up in the country, denying that he was creating a false choice between his regime and ISIS. He said that extremists and his moderate opponents shared "the same grass roots." In an interview with the BBC on Feb. 10, Syrian President Bashar al-Assad said in response to a question that "the army use bullets, missiles and bombs." This article previously quoted as saying, "the army use bullets, missiles and guns."